Research at the Institute covers a wide spectrum from molecular to ecosystem level. The Institute has four main Areas of Research: Lichenology, Mycology, Stress- and Cell physiology of Plants, and Systematics and Ecology. In the division of Systematics and Ecology, the main topics are (1) systematics, morphology and ecology of seed plants, especially propagation technology and conservation of endangered Hyacinthaceae; (2) the analysis of flora and vegetation with respect to human impact and climatic changes in the past and the present. They focus on wetland and floodplain vegetation as well as alpine ecosystems in temperate and Mediterranean Europe. Endangered and introduced plants are of particular interest as well as bryophytes and microbial communities. The working group lichenology is interested in various aspects of lichen symbiosis, particularly the biodiversity, biology and evolution of this form of life. The group is characterised by the specific knowledge of the micro-lichens and parasitic fungi. A central topic of the research is braiding in the highlands, especially the Alps. A comprehensive overview of braiding in the alpine region is currently being prepared. The ecology and diversity of alpine lichens will also be part of the core activities in the coming years. A new topic that the group is investigating is the selectivity of the partnerships in lichen symbiosis, including socialisation with bacteria. In this subsection, they use molecular and microscopic methods to arrange the microbial symbionts to visualise lichens. 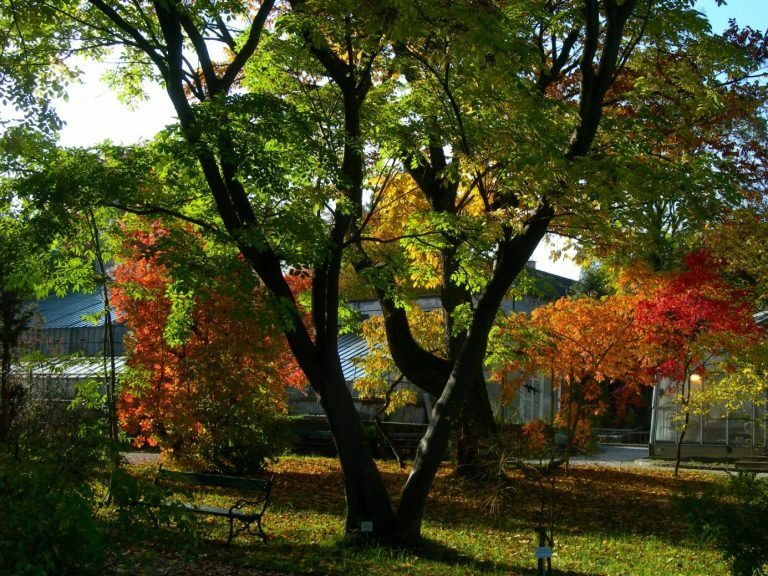 The Botanical Garden, founded in 1811, has been part of the university and the Institute of Plant Sciences since 1888. Botanical research, university teaching, and public education are its main functions. 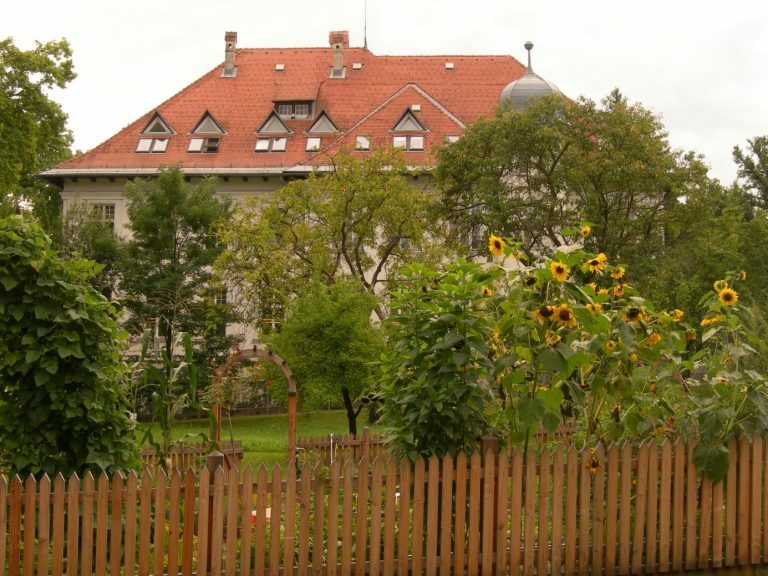 The Botanical Garden Graz plays a role in housing and caring for specimens of endangered species, and maintains a long-term seed bank of the endangered wild plant species from Styria. 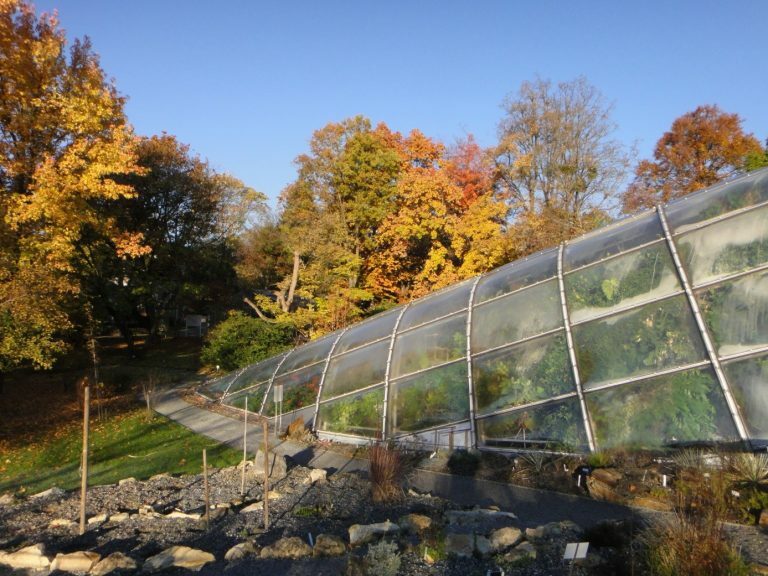 Each year, thousands of adults and children from Graz and surrounding municipalities enjoy taking the guided tour through the garden and the greenhouses. They offer exhibitions about Botany, Ecology and Nature Conservation. Art exhibitions and public events are popular and well attended features of their annual visitors program. Last but not least, the garden provides an important habitat for wild animals, fungi, mosses and vascular plants, some species of which were within the grounds when they were first described in botanical literature. The Garden harbours a significant collection of South African Hyacinthaceae for taxonomic research and preservation purposes. In total, the garden contains about 7,400 different species of plants. The outdoor area is dominated by the Arboretum with about 240 different trees and 540 shrub species. Graz is located between the Plant Hardiness Zone 5 (The Alps) and Zone 7 (Illyric deciduous wood area), so a few moderately frost sensitive woody plants like Araucaria araucana, Carya illinoensis, Liquidambar orientalis, Paliurus spina-christi, Albizia julibrissin and Stewartia pseudocamellia have been growing outside for several winters. Other parts of the Garden include the Alpine Rocky Garden, the Garden of Mediterranean Plants, the Garden of Medical Plants, and a traditional Farmer’s Garden. The new greenhouses unquestionably provide the most significant landmark in the Garden. The architecture with parabolas as the basic design element is as spatially and functionally spectacular as it is challenging to maintain. The greenhouse, covering a total area of 1,570m2, is subdivided into three parts: a tropical house with an equatorial climate, a subtropical house with both a monsoon and desert climate, and a Mediterranean house with a winter rainfall climate. All plants are planted according to their geographical and ecological aspects. Hanging catwalks allow visitors and staff to walk between the canopies of the tropical trees so that they can experience different types of vegetation from around the world in as natural a way as possible.